EIT Digital will join the exhibition of the Corporate Health Convention in Stuttgart. This year's exhibition promises to be a showcase of top notch innovations around outpatient and inpatient prevention, health oriented office equipment and workplace design, company catering and food, medical products, diagnostics and IT solutions, as well as education and training. The Corporate Health Convention (Hall 4, Messe Stuttgart) is taking place back-to-back with Personal Süd (Hall 6, Messe Stuttgart). The conventions together will attract 2400 professionals in occupational health and 4600 HR professionals. The Corporate Health Convention is exclusively intended for decision makers and experts from the areas of workplace health promotion, workplace health management and demography. The products that the selected EIT Digital scaleups and innovation activities offer, address the need of the mentioned target groups. The EIT Digital innovations that line up are: Wellmo, 7Mind, Machtfit and Prindit Wellbeing. Visit Wellmo, 7Mind and Prindit Wellbeing in booth E34, Hall 4 at the Startup Plaza in the Messe in Stuttgart. Machtfit joins the event with their own booth, B02, however with support from the Business Community. Wellmo is an All-In-One mobile platform to run digital health programmes. By deploying Wellmo, health service providers and insurance companies are able to run effective, engaging and scalable health programmes, reducing healthcare costs and improving the wellbeing of their members. The platform connects to leading health apps and wearable devices, as well as providers’ IT systems. 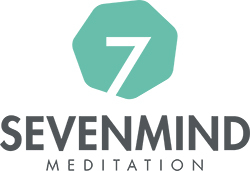 7Mind is a mobile mindfulness training suited to the needs of executives and regular employees. The app helps companies reducing stress-levels and enhance the productivity of their employees. 7Mind provides companies with the 7Mind Leadership Training and the 7Mind Corporate Edition. Both apps consists of seven guided meditation courses and several short meditations suited to the needs. Prindit is an innovation activity of the Action Line Digital Wellbeing. It offers a cloud-based service that visualizes the status of success factors and provides quick feedback to the individual, team and organisation in less than 60 seconds. Prindit creates conditions for continuous improvements by means of in-depth analysis for the individual, team and organizational level - enabling reflective learning and continues improvements every week. Prindit improves your organizational DNA. Machtfit delivers an online platform for employee engagement and satisfaction. The Machtfit platform is an innovative healthcare network for companies, workers and providers of health-promoting benefits. Employees have access to a regional health network with courses on the subject of exercise, stress management, nutrition and smoking cessation.